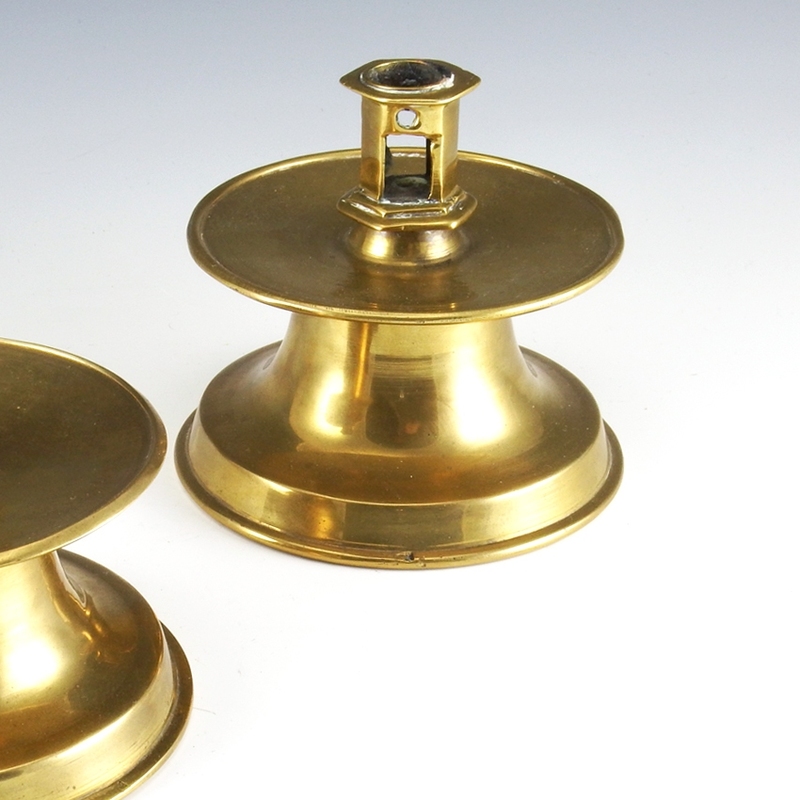 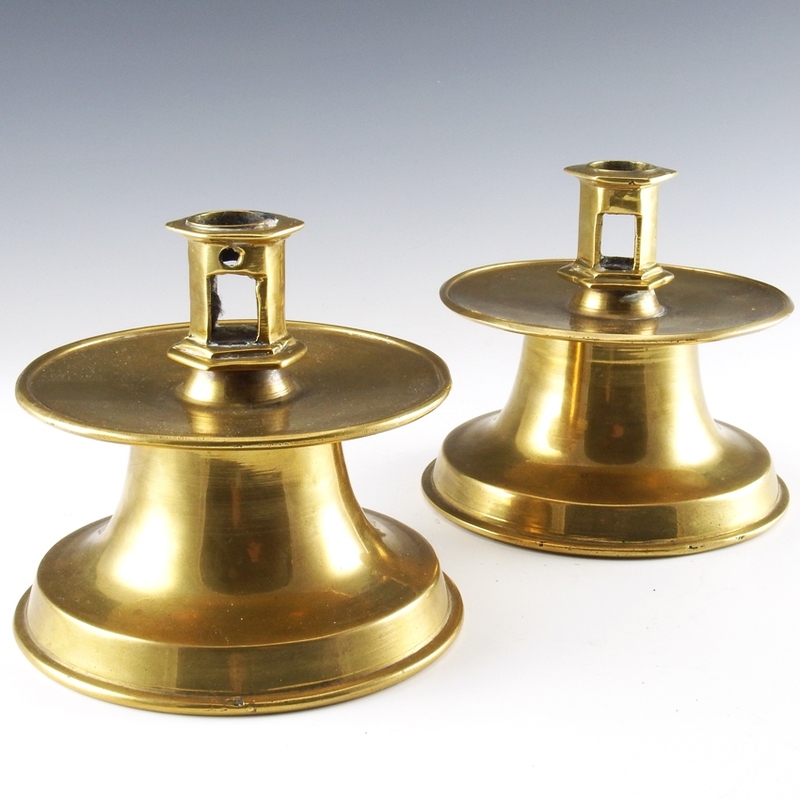 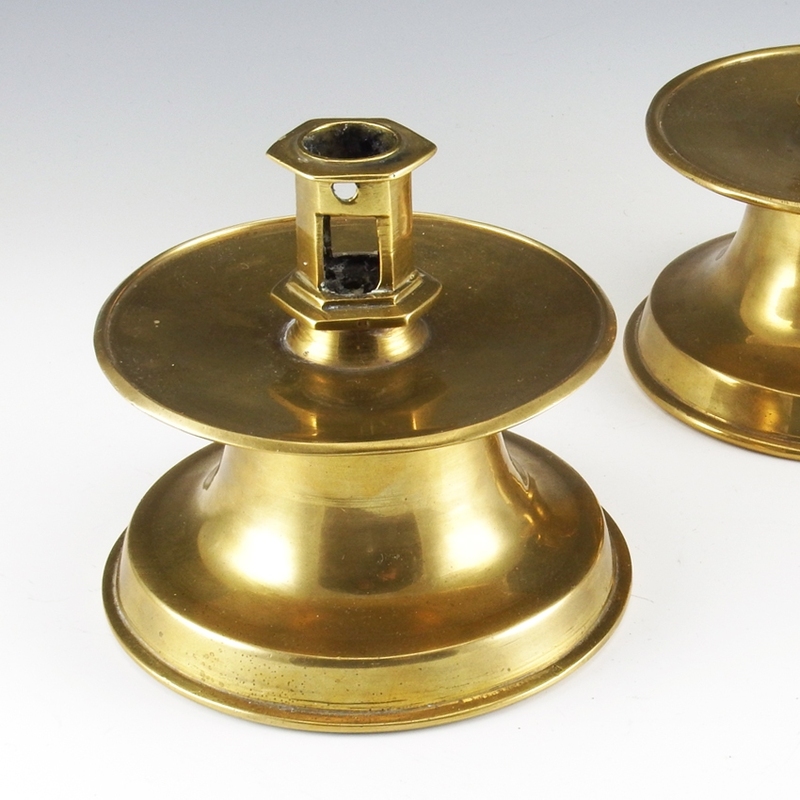 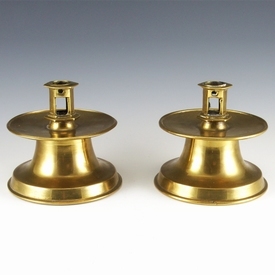 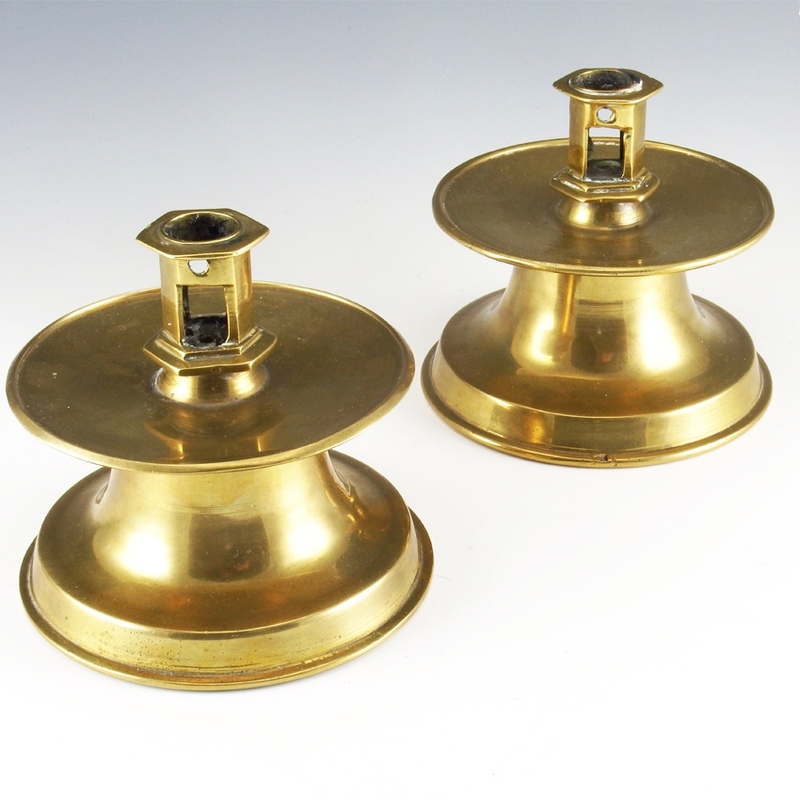 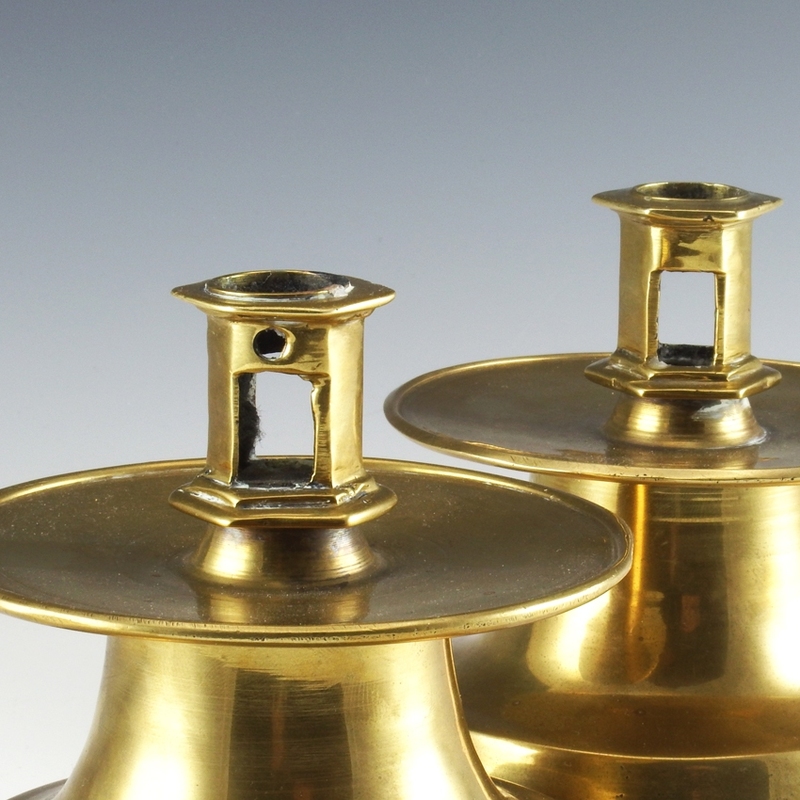 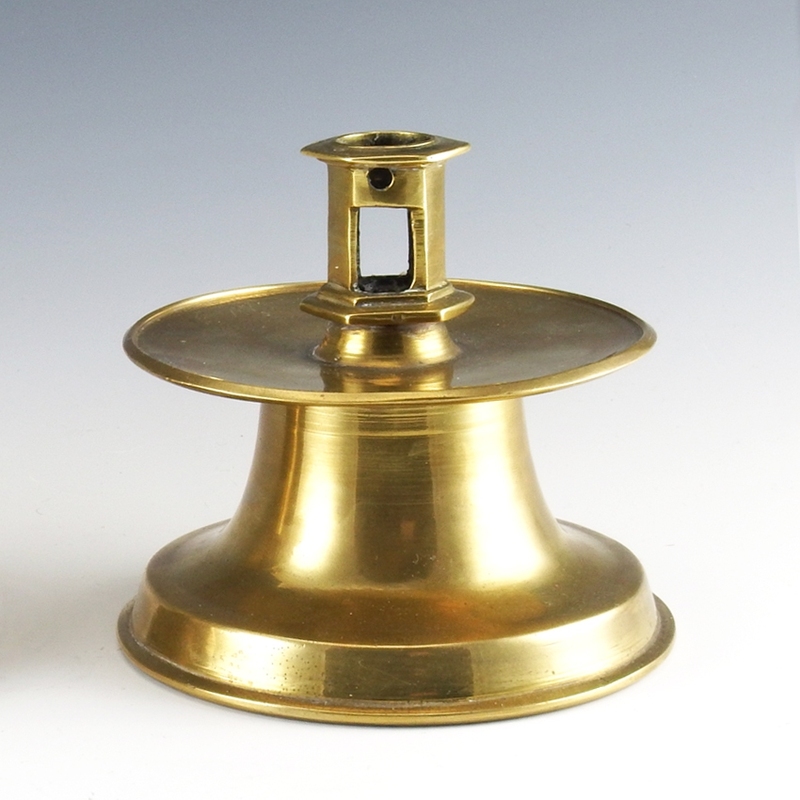 A pair of matching brass Capstan candlesticks, Spanish or English origin. 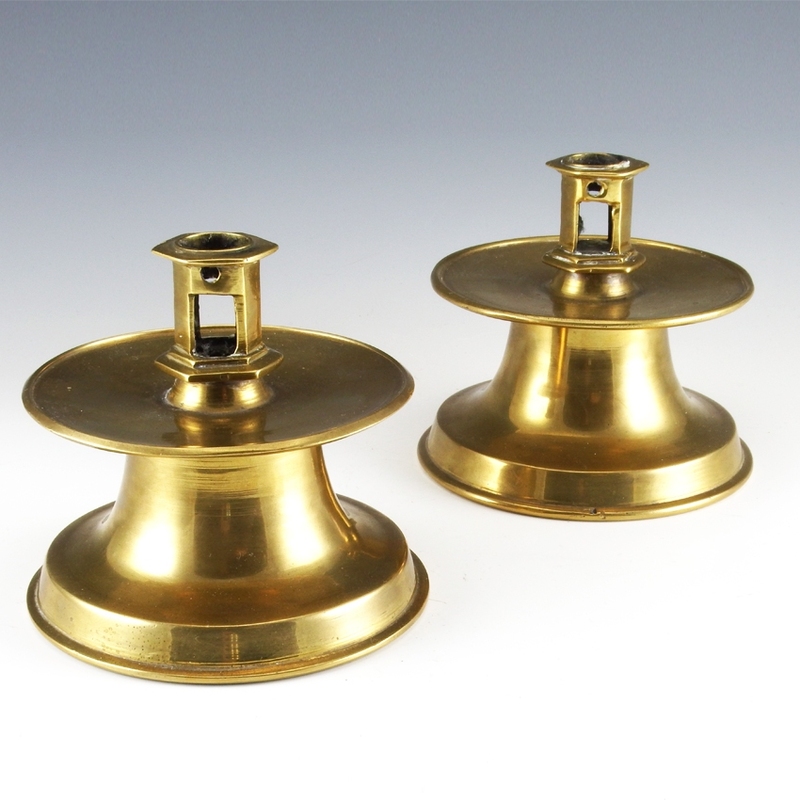 The candlesticks have hexagonal shaped candle sockets with double extraction holes. 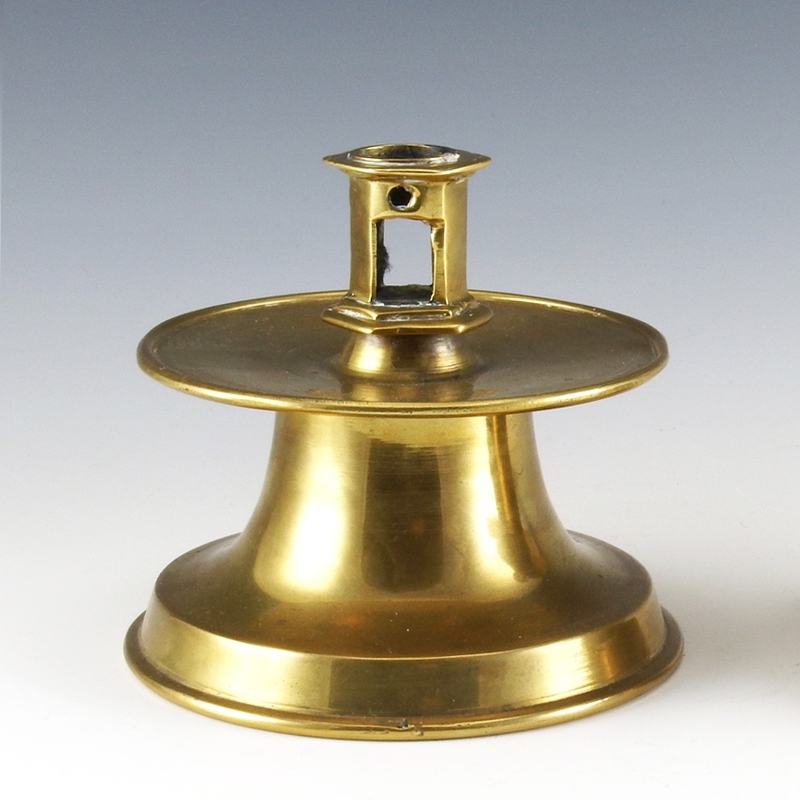 The nozzle is placed on a shallow circular drip-pan on short capstan base. 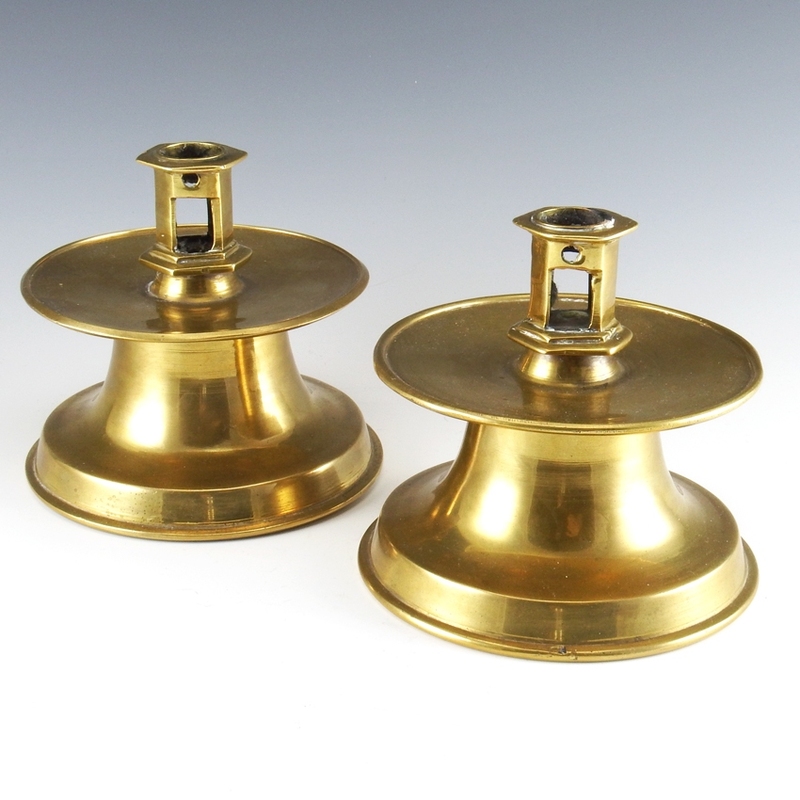 This is an authentic pair which is rarely seen. 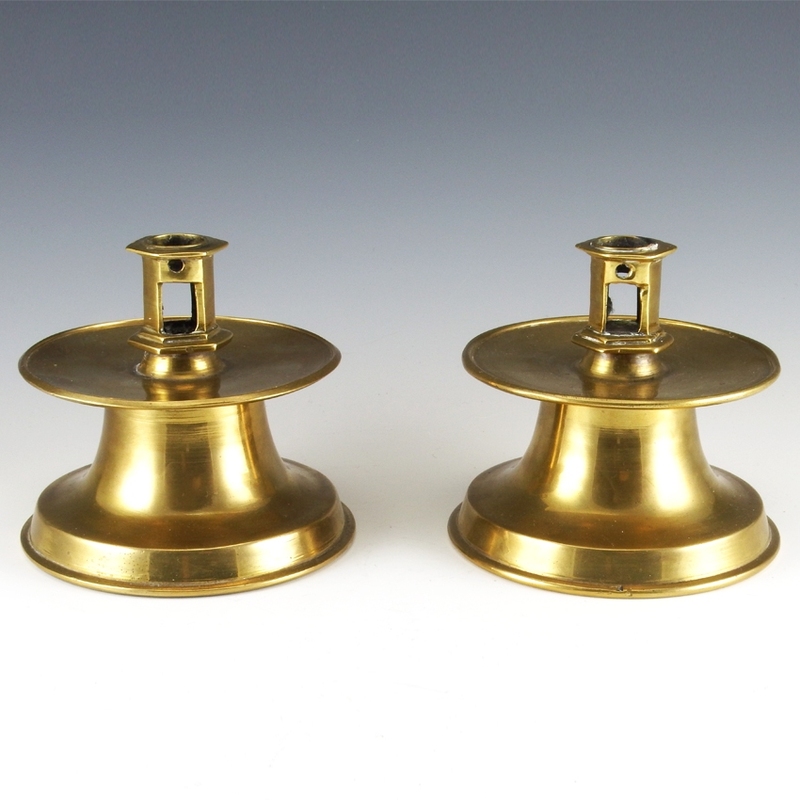 Both candlesticks are in good used condition, wear is consistent with age and use.